investment, there is a certain amount of risk and uncertainty – in this task you will see how the two different investment options may play out. In this context, you have a budget of between $450 000 – $500 000, of which you will contribute $100 000 of your own savings, with the rest financed through borrowing. Task 1A – Choose Your Investment Property (SR). involved, you need to spend a little less than this). ➢ Choose a property within a 20km radius of Brisbane GPO with a “for sale” price between $450 000 and $480 000. (It must be 3 or 4 bedroom house OR 2 or 3 bedroom unit) – that has sold within the last 15 years (since August 2001). ➢ Take a screenshot of the advertisement for your property and also a screenshot of a map showing its position and the positions of key features near it (eg: schools, shops, trainstations). ➢ Justify your choice of investment property by giving three reasons why it is a suitable investment. ➢ Find a suitable historical (5, 10 or 15 year) percentage growth for your chosen suburb. Take a screenshot and reference your source and include in your proposal. from companies listed in the ASX 100 (the top 100 performing companies in Australia). See appendix A for a list of companies. (ii) The second company is your choice, but it cannot be in the financial sector. ➢ Include screenshots of the purchase price of your shares. ➢ Supply screenshots of the 10 year charts of your chosen shares. ➢ Include this information to complete your proposal for teacher approval Submit your proposal using the forms provided. Do not proceed beyond this point unless your project has been approved by your teacher. ➢ Calculate the Stamp Duty payable on the purchase price of your property. (Use a suitable online calculator and provide a screen shot). ➢ Provide an estimate for the conveyancing (legal costs) for purchasing (use a suitable source). When purchasing shares through the ASX, as well as the price of the shares, there is a fee to pay the person who manages the sale (the stockbroker). you buy in each company. You must spend at least $200 000 on each share type. Even though the investment in shares and real estate is generally a moderate to long term investment (+5 years), there are benefits to having both of these investments as they can generate income and provide tax deductions immediately. Recall that you have to borrow the balance of your investment after you have put in your own $100 000. ➢ Calculate the monthly repayments. ➢ Determine the likely fees associated with such a loan over a 12 month period. Ensure you appropriately reference your source/s. ➢ Calculate the amount repaid in the first year. ➢ Calculate the balance of the loan after the first year. Task 3b – Calculate your total costs for this loan (SNR). ➢ Calculate the cost of the loan after the first 10 years. ➢ Calculate the amount owing on the loan at the end of the first ten years. ➢ Calculate the total cost of the loan over 25 years if it was paid off fortnightly over that 25 year period. Investments like real estate and stocks are often bought so that the benefits can be enjoyed in the medium to long term. After investing for ten (10) years, you make the decision to take your money out of your hypothetical investment so that you can use it elsewhere – part to reinvest, and the rest to enjoy! Task 4A – Determine your profit or loss (CR – KAPS + MAPS). Calculate an estimate of your overall profit or loss for your investment over ten years. Assume that your investment has been sold and it “settles” on the 30 June 2026. Task 4B – Decide on which investment option (CR‐ MAPS). Decide on which investment option you would like to pursue in the long term. Justify your response with mathematical reasoning and by making informed decisions based on your calculations. Task 4C – Reflect on the Effectiveness of Your Mathematical Model (CR – MAPS). Reflect on the effectiveness of your model which was used to determine your final financial position. In this discussion, include the strengths and limitations associated with your model – were your methods a reasonable approximation of a real life context – why/why not? 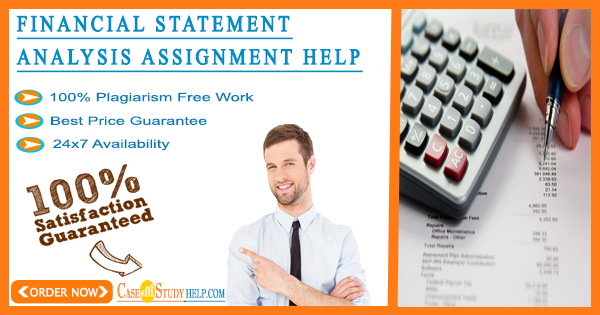 ▪ Your assignment is to be written in formal language. It should clearly demonstrate your understanding of the topic and the solutions you have provided. ▪ All resources should be references appropriately. ▪ You should read and adhere to the College Academic Integrity Policy.